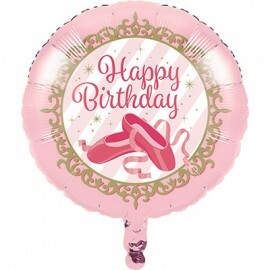 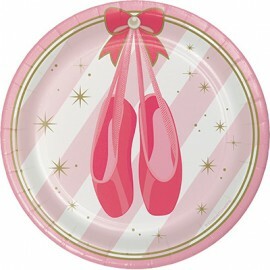 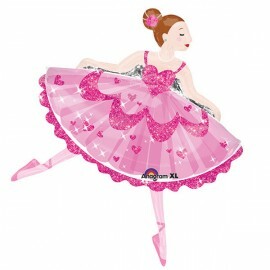 45cm Ballerina Tutu & Slippers Foil Balloon (Self sealing balloon, Requires helium inflation) Each..
45cm Twinkle Toes Happy Birthday Ballet Slippers Foil Balloon (Self sealing balloon, Requires helium inflation) Each.. 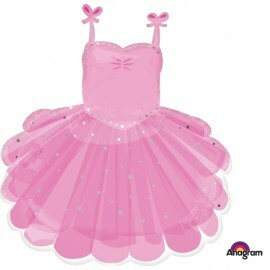 Shape Ballerina Tutu 71cm x 58cm Foil Balloon (Self sealing balloon, Requires helium inflation) Each.. 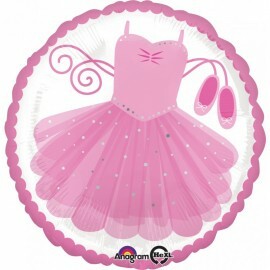 Shape Pink Sparkle Ballerina 76cm x 88cm Foil Balloon (Self sealing balloon, Requires helium inflation) Each..
Twinkle Toes Ballerina Centrepiece Honeycomb 30cm Each..
Twinkle Toes Dizzy Danglers Hanging Swirls Foil Swirls & Cardboard Cutouts 3 x 76cm & 2 x 99cm Pack of 5..
Twinkle Toes Luncheon Plates Paper 17cm Pack of 8..